Maputo is a very accessible town, and being the capital city of Mozambique, it also holds importance to the nation. Tourists love Maputo for its vibrancy, its diversity, its range of fun things to do and its beautiful setting on the bay overlooking the Indian Ocean. With an international airport and a busy port, Maputo is worth exploring and has become the gateway to the rest of the country. Holidays in Maputo can be centered Around the nightlife, the beaches, the fantastic food in funky restaurants, the history and the melting pot of cultures. Stay in world-class hotel and enjoy the same kind of luxury you would find in Europe. Maputo is full of surprises and from here, you can take interesting day trips to destinations like Maputo Elephant Reserve, South Africa’s Kruger National Park and boat rides to Inhaca Island to marvel at its innate biodiversity. You probably know that Maputo has been the capital of Mozambique for nearly 120 years – previously namedLourenço Marques, it is also the biggest city in Mozambique and home to the country’s most important natural harbor. Only 90 km from the border of South Africa, this harbor is found at the mouth of the Santo River in the extreme south and was initially known as Delagoa Bay. Vasco da Gama discovered the bay in 1498 and today it is an important transport center for trade to South Africa, Zimbabwe, Swaziland, and Botswana. You can visit the port and see what is going on if that is what blows your hair back! Take a walk to the picturesque beaches from there, where you can surf the strong waves and meet some locals selling fresh cashew nuts. You can reach Praia da Macaneta beach by boat from Maputo or by road to Marracuene. This village is 30km north of Maputo and has views over the Incomati River – it is quite a mission to get there but well worth it the end as you have to catch a ferry first to the other side of the river, then drive for eight kilometers to the beach! When you set off on foot to explore Maputo, you will find many others doing the same – residents, visitors, business people, tourists, and children. It is a picturesque city with its wide streets from the colonial era, huge jacaranda trees, bougainvilleas and street vendors plying their trades. Maputo is brimming with architectural excellence and this comes with great input from colonial days when the Portuguese ruled this East African country. If you go to St Anthony’s Church in the heart of the city, you will discover that the Indian pioneers who were some of the first settlers in Mozambique influenced the design of this historical and religious building. In most cities of reputation there is a Museum of Natural History and suffice it to say that this one in Maputo is as gracious as the rest – take a look at the taxidermy assortment of wildlife and the famous display of the way an elephant forms in gestation – elephant fetuses are a huge drawcard here. There are also traditional musical instruments to marvel at and maybe a few locals will play live music for you too. The gallant San Sebastian Fortress was built decades ago to protect Maputo Bay from Spanish and German colonial marauders. South Africa helped to build the fortress and Paul Kruger was also instrumental in starting the railway as a link between Pretoria and Maputo. In fact, the railway station displays the first ever train that journeyed from Maputo to Pretoria! There are still morning and evening trains and tourists love to sit at the traditional station bar to enjoy jazz evenings or simply have a drink and talk about the old Lourenco Marques days. Many tourists like to catch a glimpse of Casa do Ferro, the Iron House which is completely made from iron – a house designed by the same man who designed the Eiffel Tower in Paris! This was the governor’s house in the late 19th century but in the end, it was too hot for him to live therein and he had to move. Outside of Maputo is a very good reason for a day trip – the Maputo Elephant Reserve is north of Ponta Malangane and is a huge area of 50 000 hectares – well worth experiencing if you love these gentle grey giants. It is very sad that there was so much poaching during the terrible civil war because so many elephants died and the entire population of White Rhino was decimated in those days of warfare. You can still go and seek out shy duiker, suni, nyala, hippo, crocs, reedbuck, monkeys, and many fantastic bird species if that is what blows your hair back. Mundo’s restaurant is popular with those who don’t mind a crowd – a great place to eat and chat, meeting new people. Order pizza, hamburgers, seafood. Cafe Camissa is a casual eatery for snacks and beverages. A meeting place for artists, intellectuals, travelers and locals. Milano Grill House is a steakhouse with an African atmosphere at the intersection of Avenida 24 de Julho and Avenida Salvador Allende, right in the city center. Good food but expensive. Costa do Sol is a great place for very fresh seafood – about six kilometers from the city center. Order a plate of prawns! The Taverna offers genuine Portuguese food where many local Portuguese people eat. Lovely breads, meat dishes and seafood plus decadent desserts. 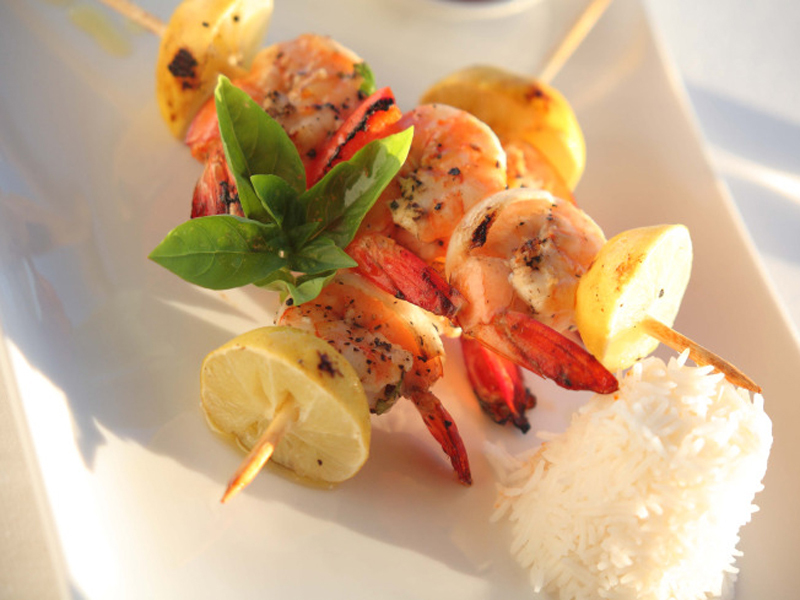 The Polana Hotel presents a seafood evening every Saturday evening. Eat lobster, prawns, paella, seafood curry and more from the buffet while enjoying live music. For the more adventurous go to the fish market in a group. Order fresh fish or seafood and take it to the back, to a range of small restaurants where they will cook it to perfection on a grill. The T3 area just outside Maputo harbours small cafes which sell things like T-bone steak, fresh bread and beer – very cheap, very African! Africa Bar is a popular nightclub on Avenida 24 de Julho and Karl Marx street, only five minutes’ walk from the city centre. Join the long queue with the more affluent Mozambicans in fancy clothes. Live jazz every Thursday. Coconut Live is a huge nightclub, boasting three large video screens and an enormous dance floor in the middle. One level up is a VIP lounge on mezzanine, overlooking the dance floor. Drinks are affordable and the place is very crowded on weekends. Definitely for the younger crowd. Sinatra’s on Ave. Martires de Inhaminga opens at 21:00 and closes very late – a place to sample Mozambican- Brazilian food and music. Chez Rango at Maputo’s main train station is one of the best places to enjoy jazz in an intimate environment with live bands every Saturday night and Afro-Jazz during the week. Gypsy’s Bar on Rua do Bagamoyo is popular but go in a group – a seedy part of town. Complexo Sheik on Ave. Julius Nyerere is more upmarket and dancing goes on until dawn with the city’s upper class. For the more adventurous, head to T3, a suburban area in Maputo usually not visited by foreigners. Small bars are the night life in these dusty streets – find burning barrels outside the bars and cafes to replace lights in the night. A genuine African atmosphere. Staying in this capital of Mozambique is convenient and fun, a fantastic holiday destination for families, couples, business delegates and general travellers. Maputo hotels offer many specials on accommodation all year round, especially during holiday time. Conference specials are equally popular for discerning business people. If you stay at Hotel Avenida you will be in a central and prized location with an array of businesses and services nearby – this is an excellent business meeting venue because the Business Centre boasts eight conference rooms accommodating up to 320 delegates. And you can retire to the Health Club and gym or the sparkling swimming pool for rejuvenation. Visit the Solarium, with a pamper session in the Steam Room, or relax into a one of many massages. If you choose to stay in the Hotel Cardoso, an admired city hotel in the heart of Maputo with sweeping views of the harbour from its unique cliff top setting, you can sample their specials, great rates for corporate travellers and honeymoon couples alike. Indulge in one of 130 rooms with diverse features including Wi-Fi access, satellite TV, air-conditioning and tea and coffee stations. If it is a top class four star city hotel you are looking for, head straight for the Pestana Rovuma Hotel with its friendly African vibes and furnishings. Some attractions for businessmen and international travellers include the large swimming pool, sauna, business centre, free car park, bank and pharmacy. Conference facilities and a gym with steam room suit businessmen who work hard then need to unwind before dinner. There is even a hairdresser, clothing store and communications support centre in the hotel’s own small shopping centre. The 119 rooms and suites all feature air-conditioning, satellite TV and balconies with stunning city or Bay of Maputo outlooks. Situated in the centre of Maputo, the Rovuma is a haven for Portuguese-African decor and food – exceptional and addictive. An institution in the heart of Maputo, the Polana Serena Hotel has survived years of civil war to remain one of the best Mozambique Hotels in the country. Built in 1922, these majestic buildings have been carefully restored to fill the luxury accommodation field with a colonial air and Portuguese flavour. Magnificent gardens, inviting swimming pool and tasteful food all work together to enrich your holiday in Maputo. This five star hotel offers 168 elegant rooms, nine executive suites and 9 garden suites, all with en-suite gardens, air-conditioning and elegant decor. Other features include satellite TV, free internet access, mini bar, free newspaper and tea and coffee making facilities. Work out at the first rate gym, health club and spa; dip into outdoor and indoor swimming pools; walk in lush, tropical gardens; get a new hairstyle at the salon and buy gifts at the curio shop. What more could you want? The new Radisson Blu Hotel, in the centre of Maputo has stunning views of the Indian Ocean and is conveniently only a few minutes from Maputo International Airport. It is therefore easy to get to and easy to stay in – business delegates come for the high tech conference facilities perfect for large and small groups of serious travellers. Settle into the divisible conference room, a pre-function area and a business centre all with air-conditioning and the latest audio visual technology. Maputo is humming at the moment and keeps getting better. Maputo is for the serious and the leisure traveller and Maputo is for you. Bring your friends and have a blast in this city where all cultures meet and greet. Enjoy warm Mozambican hospitality and breath-taking scenery. A holiday in paradise, yes? Contact us for more details about great packages and special deals. The moment you set foot in Mozambique, you know that you have arrived in one of the best holiday destinations in Africa. You have booked your comprehensive accommodation on a beach with the warm crystal clear ocean only steps away for optimal luxury and holiday fun – and you are going to leave all your worries behind at home. There are so many opportunities in Mozambique to have real fun in a luxury setting. Pemba is one of these awesome beach destinations. For optimal luxury, we suggest you set your sights high this holiday season with a pampering session at the brand new five star Diamonds Mequfi Resort. A brand new hotel, it promises plenty of holiday fun what with its five-star service, elegance and charm blended with one of the best settings in Pemba. Your magical suite looks out over the Indian Ocean and you can enjoy long beach walks every morning. This comprehensive Mozambique accommodation is all about optimal luxury – stunning four poster beds with mosquito nets (or two single beds), air-conditioning and fans, flat screen satellite TVs, Wi-Fi, tea and coffee making facilities, mini bar, large en-suite bathroom with shower and complimentary toiletries and your own butler if you would like personal service at all times. Moving south to the golden beaches of Inhambane you are going to add dollops of holiday fun to your agenda. Book into Barra Beach Club if you are planning your special wedding, an important conference or a special occasion for a friend. The Inhambane coast in Mozambique provides a remarkable setting for dreamy ceremonies, serious business seminars and happy birthday parties. Choose Barra Beach Club to handle your ultimate event!What a great place to escape to for your company’s team building experience – a destination where all delegates can take part in exciting water and beach activities. What a great place for a successful think tank session, where ideas flow and important decisions are made as fluidly as the five-star service. Another gem in Inhambane is Casa do Capitao where food is everything. Enjoy the lodge’s fantastic restaurant which extends out over the lagoon. Skilled chefs whip up some mouth-watering meals and seafood platters which you can wash down with a selection of wines. Escape the heat of the sun with a leisurely swim in the glittering swimming pool or simply pick from one of the cozy sun loungers peppered on the pool deck for a tan. Visit the spa and fitness center or head for the bar to mingle with fellow guests. Business travelers will be chuffed by the conference facilities available at this Inhambane hotel where 300 delegates are comfortably hosted. Make the most of the gorgeous settings and let the staff make your dream wedding a reality. Complete the romantic experience with a Mozambique honeymoon at the hotel. Sunshine and blue oceans beckon at Inhambane so choose Travessia Lodge for your next dream holiday. Optimal luxury and holiday fun starts here where you get great value for money as you commit yourself to days brimming with outdoor activities in this gracious African destination. Water sports include incredible scuba diving, snorkeling and ocean cruises. Go body boarding with your kids or take the two-seater canoe out for a paddle and see how well you surf the waves. Look out for manta rays, dolphins and whale sharks as you enjoy the ocean here in Inhambane. Beach activities feature endless long walks where you feel totally alone and safe; enjoy private beach picnics in remote spots where there is only you and the sound of the waves; explore the giant Baobab tree near the lodge, surrounded by a grove of coconut palms and visit the local villagers to watch a game of soccer or to admire their homes made from palm leaves and other natural materials. Pemba or Inhambane, that is the question? 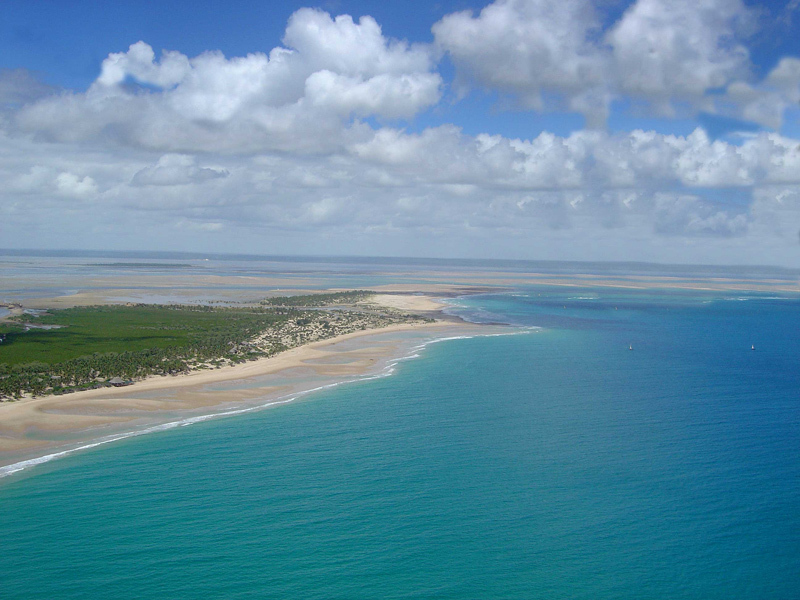 Maybe do a tour of the exquisite Mozambican coastline to get the most out of your holiday. We recommend plenty of fun in the sun as you seek optimal luxury accommodation in East Africa! For us, Pestana Rovuma Hotel is one the best hotels in the capital Maputo. 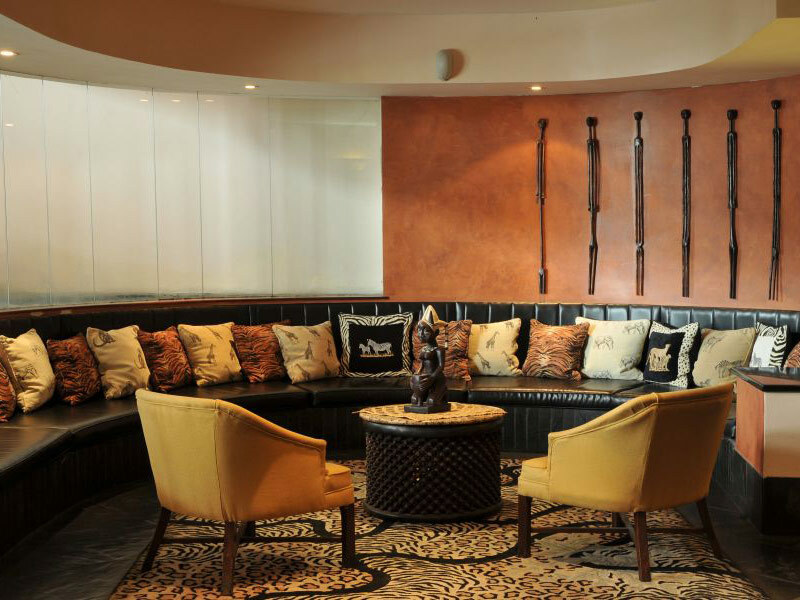 Situated in downtown Maputo right across the road from the Old Cathedral, this excellent hotel offers a unique blend of modern comforts and African inspired décor to provide both leisure and corporate guests with a soporific retreat from the hustle and bustle outside. Ranked #9 of 21 hotels in Maputo by Tripadvisor, this Mozambique accommodation will impress the most seasoned of travelers with its superb facilities, exceptional service and fine dining. The hotel also has a great location within easy access to the city’s major tourist attractions and business centre. Pestana Hotel has 119 elegantly appointed rooms offering contemporary creature comforts, including satellite TVs, tea/coffee making facilities, air conditioning and internet connectivity among other amenities. There are 5 different room types, ensuring that all kinds of budgets are catered for. Executive rooms and suites are equipped with separate lounges, working areas, kitchenettes and minibars on request. The Luxury suites also feature an additional bedroom plus one or two bathrooms. There are conference facilities that cater for the needs of the modern business traveler, a restaurant, coffee shop and bar where all your culinary needs are full-filled. Guests can make the most of the outdoor swimming pool, pool bar and tennis courts. A gym, sauna and a small mall with a bank, pharmacy and clothing store are also available at Pestana Rovuma. 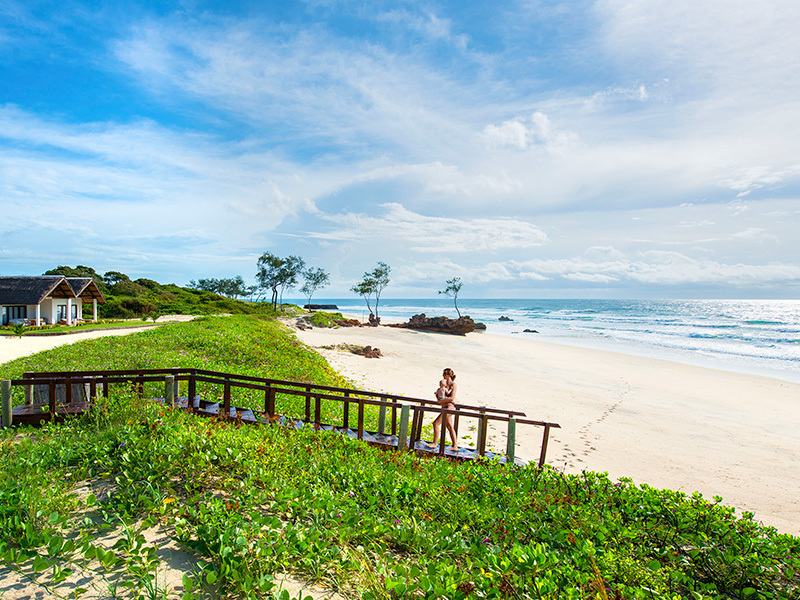 The beautiful east African country of Mozambique, with its glorious Indian Ocean coastline, exotic islands and wonderful towns and cities, is a perfect choice for a family holiday with a difference or a well-deserved romantic break for a couple. With plenty of superb hotels in Mozambique to choose from there is something for every budget, and many of the finest beach resorts are among the very best in the world. A largely unspoilt country, Mozambique offers plenty of opportunity to take a genuinely relaxing and rewarding holiday, and there are many choices when it comes to Mozambique accommodation packages for 2019. If you want to take a trip to the capital city, Maputo, then there are a number of fine Maputo hotels to choose from. The city is a friendly and welcoming one that still reflects its colonial past, and you can find some of the best hotels in Mozambique close to the famous Maputo Elephant Park, a place where you can see these magnificent animals, and other indigenous species, in their natural habitat. With excellent package deals on accommodation in Mozambique you may be surprised to find that you can afford an exclusive, exotic holiday in a genuine tropical paradise. 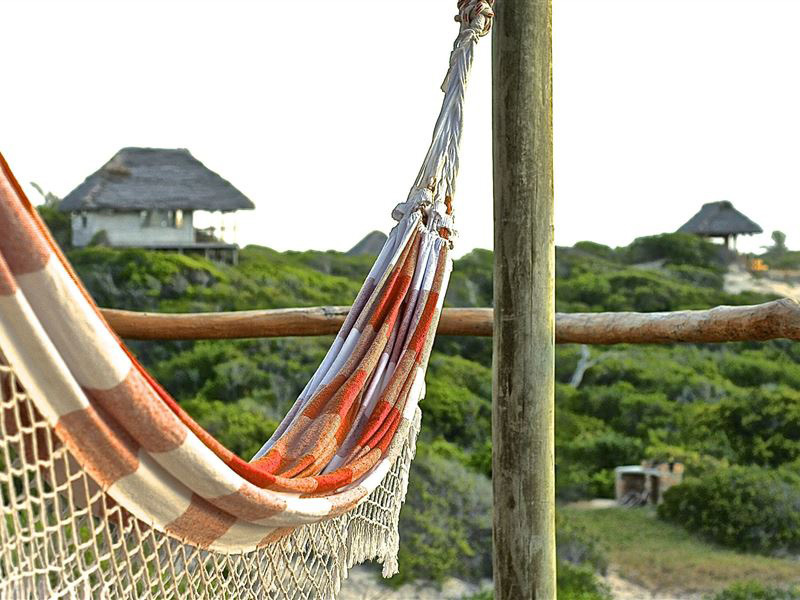 For many people the true wonders of Mozambique are to be found on the islands; the Bazaruto Archipelago offers superb accommodation in the form of luxurious lodges such as those at the popular Bazaruto Anantara resort, and some of the finest hotels in Mozambique are to be found among these wonderful islands. Pestana Bazaruto is a superb resort in a prime location where you can stay in luxuriously finished villas and enjoy some of the best weather in the world, and is just one of many such resorts that the Bazaruto Archipelago has to offer. The Quirimbas Islands, considered by many to be the more exotic and remote of the two main island groups also offer the opportunity to stay in some of the best hotels in Mozambique as well as a choice of truly beautiful lodges. The likes of Quilalea, for example, provide a chance to experience a private island resort where only a handful of exclusive villas are present, and the stunning waters are perfect for swimming and snorkelling over the amazing coral reef. For the most luxurious in Mozambique accommodation you cannot beat the island resorts, and they are perfect for families or even a special Mozambique honeymoon. As leading experts in Mozambique package deals for 2019 and beach resort holidays, we have access to the very best hotels in Mozambique and can get you the best prices Mozambique hotels can offer, guaranteed. We have a team of experienced advisers who will help you plan your dream holiday in Mozambique, and we can put together a package that allows you to enjoy the country to the full. With a choice of specials to island and beach resorts, plus plenty of opportunities for Maputo accommodation, why not get in touch with us now and book that dream holiday in Mozambique your family deserves? The diverse array of hotels in Maputo make staying in this capital of Mozambique convenient and enjoyable for all. Hotel accommodation for leisure and business travellers alike boasts enormous luxury or homely comfort. We can help you to choose a Maputo hotel of choice. Contact one of our consultants to book a special luxurious package or a more rustic and affordable deal. This thriving Mozambique harbour city has the ideal hotel accommodation for every visitor. Radisson Blue Hotel, the Catembe Gallery and Continental hotels in the city centre all support guests who like their comforts. Flights to Mozambique land in Maputo and travellers stay a few nights before moving on to explore more of the country or heading home. Hotel Avenida and Hotel Cardoso are good starting points from which to do all of this and more. Maputo is a great short term Mozambique holiday destination for visitors seeking adventure and entertainment. Most of the sunny city looks out over the Indian Ocean so that outdoor activities and cultural tours take up most of your day. Click here to read more about Maputo. All Maputo hotels are close to excellent restaurants, pavement cafes, a busy fish market and vibrant night clubs – offering something for everyone. Families, friends travelling together and businessmen all find time to explore and enjoy this Mozambique capital city. Maputo International Airport is just north of the city, increasing the traffic to the city and its ability to host increasing numbers of business travellers. They want good service, comfortable rooms, hot showers, and television to keep abreast of the news – most hotels now offer a free Wi-Fi or internet access for their clients. Conference facilities are also part of many a hotel’s facilities because Maputo is a thriving harbour and airport town. Guests can get around in Maputo using mini buses, buses and taxis. Visit Maputo soon and try one of many smart, reliable and reliable hotels – from deluxe to budget the choice is there.